As I was reflecting on this blog the past few weeks, I realized how much this blog has meant to me. I started to blog because I wanted to share with family and friends, in a unique way, what was going on in our life. At the time, we lived just far enough away from my family that we couldn’t just hop over to their places at any given time. I thought that keeping a blog/log of our life would help keep people informed about our life – which really, isn’t that interesting! Little did we realize that the blog would help us get through some of the most joyous, but also the most grievous times in our life. Being able to share our journey through losing two little babies at just 3 weeks in our gestational carrier’s womb, but also to share the utter miracle of the birth of our daughter Mazy Grace in 2015. It was this blog that helped me work through some of the emotions and even introduced me to some of the most amazing people I have “met” via this blog. Then of course there was the organizing blog that I started and decided to combine into this blog, after a move to Minnesota from Michigan. That website kept me busy while trying to figure out and navigate life in a new town and a new state. All that to say, I have LOVED blogging. It is something that I find I can share my heart in and just what our life is about. In doing so, I know that I obviously share about things that people could quite frankly care less about. In blogging, you by default open yourself up to the opportunity for people to criticize and judge, but also relate to as well. I decided that I want to get YOUR OPINION about this blog. 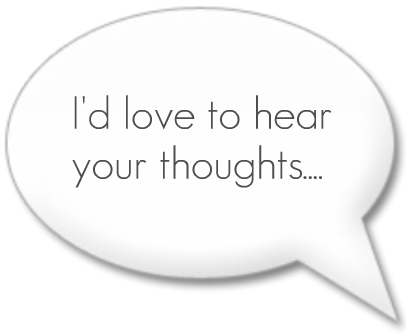 I want to hear what YOU enjoy reading the most? What YOU look forward to the most. I would love to hear what you have to say! If you could take just 3 minutes of your time and fill out this BLOG SURVEY, I would GREATLY appreciate it! I can’t guarantee that I will make all of the requested changes, but I want to connect with my readers as much as I can. Please head on over to this simple Google Form and let me know what you think! I tried to do the survey but as I am not following you on any social media (FB, Instagram, Pinterest), it would not let my survey go through. I just love reading your blog to keep up with your sweet family. I mostly read your personal posts and not the organizing or give-aways. But that's ok. It's all good. I find your posts inspirational and something I can relate to. Keep up the good work! Thank you so much for sharing with me your thoughts and encouragement! That really means a lot! Your words keep this girl wanting to blog and thank you for being a faithful reader!